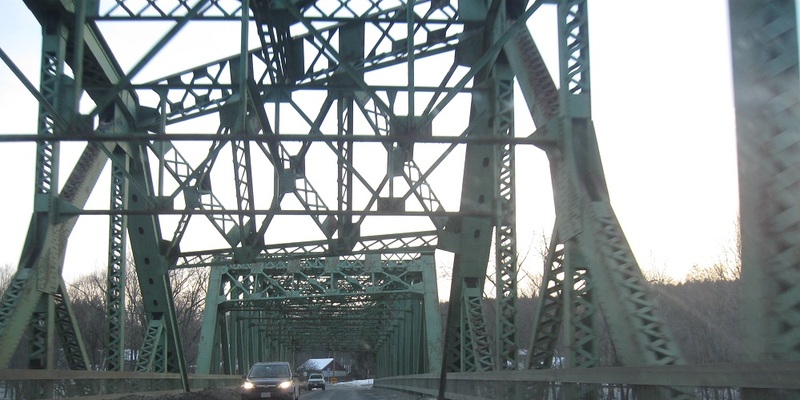 Heading southeast on 3rd St. in Turners Falls, in the northwest corner of Montague, I turn southwest on Canal St. and head down the hill to a multitude of truss bridges. 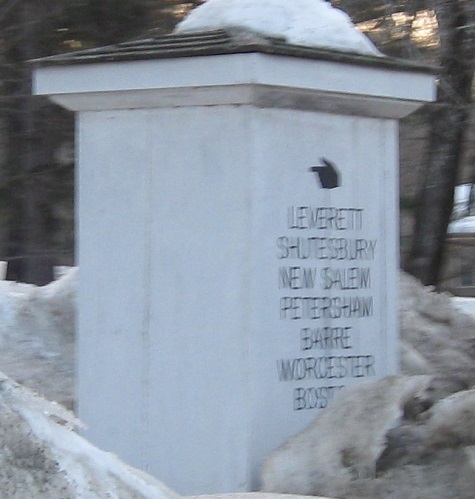 The closest two are Turners Falls Rd. and its attendant sidewalk, which seems to predate the green road bridge but could never have been crossed by vehicles. 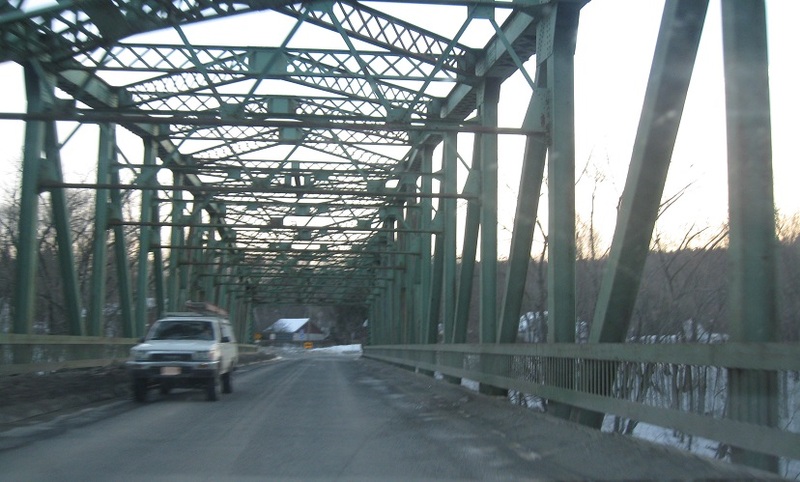 Downstream from there, the tall through truss is the former Power St. crossing, and the road now crosses a silver pony truss just behind it. 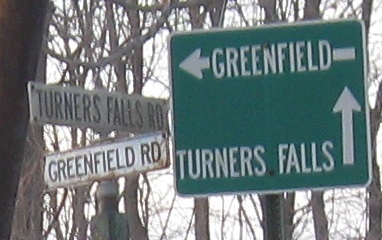 Turning onto Turners Falls Rd. 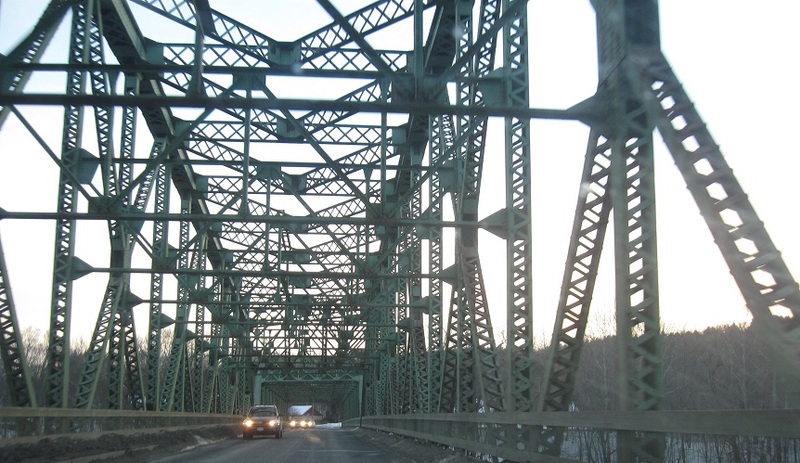 WB over Montague Power Canal. Main St. SB comes to an old, repainted directional post. 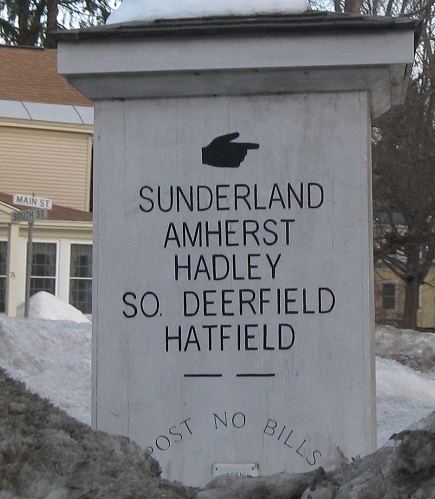 Actually, it may not be old, but it's unique, and features the New England pointing hand I love. 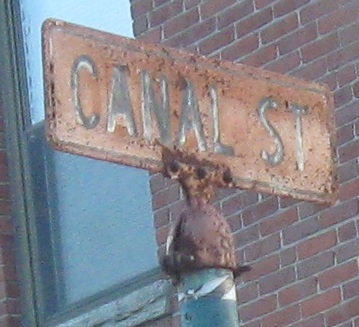 The road forks to the right onto Old Sunderland Rd., and South St. is a standard left turn just after. 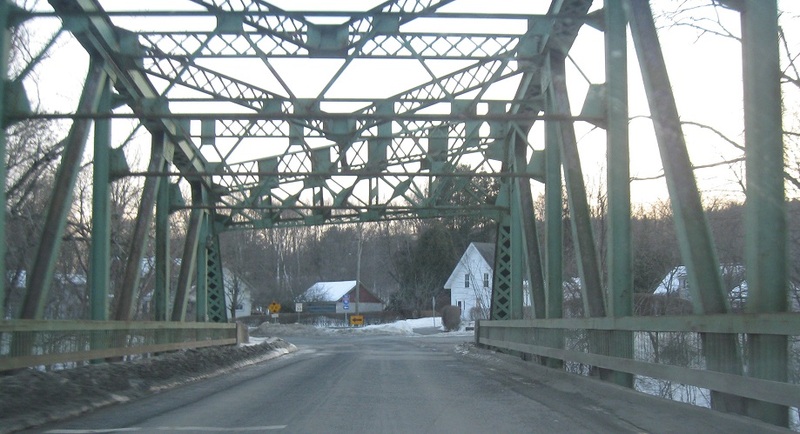 One of Montague's hidden gems, the Connecticut River crossing of Montague City Road, heading SB and ending with a look back north. 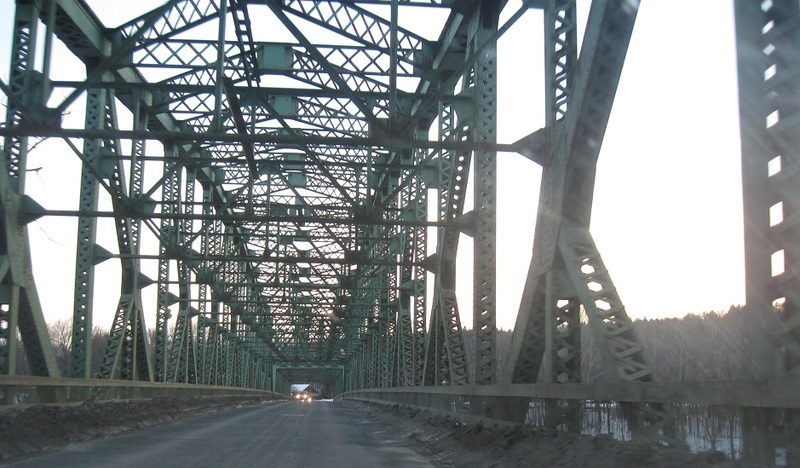 This is the southernmost river crossing - bridge or ferry - that is not a state highway.